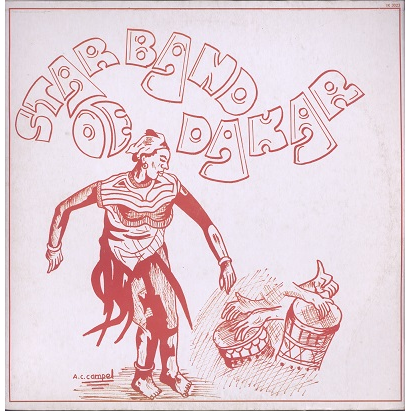 Star Band is one of the best Senegalese Afro-latin bands of the 70's along with Orchestra Baobab. Featuring singers Labah Sosseh, Doudou Sow and Omar Seck. Includes Cuban classics 'Guajira', 'El manisero' and a Johnny Pacheco cover, plus some early M'balax tracks. Recordings are low because these tracks were recorded in almost 'live' conditions- but the music is essential! Sleeve looks nice, just has some light seam wear and very light ring wear and dirt. Record (blue labels) has faint hairlines, plays greatly with light surface noise -mostly due to low recording quality. Solid copy! !